Lord Monckton, businessman, newspaper editor, inventor, classical architect, trained orator and “high priest” of climate skepticism, prevented several government-level scientific frauds while serving as a Downing Street domestic and science policy advisor to Margaret Thatcher, saving British taxpayers billions. In 1986 he was the first to advise the Prime Minister that “global warming” caused by CO2 should be investigated. Two years later she set up the Hadley Center. In 2006 a London finance house consulted Lord Monckton on whether “global warming” would prove catastrophic. His 40-page report bluntly concluded that, though some warming could be expected, it would be small, harmless, and beneficial. Lord Monckton also found evidence that a well-funded clique of scientists, bureaucrats and politicians had been manipulating data and fabricating results to exaggerate the supposed problem. The Climategate emails amply confirm his suspicions. His two climate articles in The Sunday Telegraph in November 2006 crashed its website after 127,000 hits within two hours of publication. Al Gore replied to the articles, which provoked the then Foreign Secretary, Margaret Beckett, to say during a speech on terrorism that “climate deniers” should be treated like Islamic terrorists and refused all access to the news media. Beckett was subsequently dismissed. Kevin Rudd, Australia’s Prime Minister, has devoted a 45-minute speech to criticizing Lord Monckton and other “deniers … small in number but too dangerous to be ignored”, who base their thinking on the notion that “the cost of not acting is nothing”, and whose logic “belongs in a casino, not a science lab”. 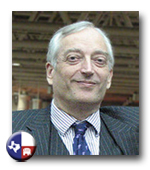 Lord Monckton has given speeches, lectures, and university seminars on the science and non-science of climate in the US and all over the world, is widely consulted by governments, corporations, and professors, and has authored numerous papers on the climate issue for the layman, as well as for the scientific journals. Some 75 of his papers are published at www.scienceandpublicpolicy.org. He has challenged Al Gore and John Kerry to a televised debate on the climate, but neither has accepted. His feature-length movie, Apocalypse? NO!, is based on a lecture he gave to undergraduates in the Chamber of the Cambridge Union. His paper Climate Sensitivity Reconsidered, published in Physics and Society in July 2008, demonstrates that a doubling of CO2 concentration, expected by 2100, will be harmless, causing less than 1 Cº of warming. The commissioning editor who asked for the paper and the review editor – an eminent Physics professor – who reviewed it were both dismissed for publishing it. However, recent results by leading climatologists support Lord Monckton’s estimate. Lord Monckton was recently invited to submit a paper to the Royal Air Force College at Cranwell, UK, on the strategic implications of “global warming”. His abstract points out that national defense is inevitably expensive and that, if foreign powers implacably hostile to the free-market, democratic, prosperous West wish to destroy our capacity to defend ourselves they have only to infiltrate our environmental movement, fund it, and steer it towards persuading us to dismantle our economies from within, in the specious name of “Saving The Planet”. The peroration of a speech by Lord Monckton to 1000 citizens of St. Paul, Minnesota, in October 2009, in which he drew public attention to a then little-known draft plan by the UN to establish an unelected world government at the climate summit at Copenhagen in December 2009, received 1,000,000 YouTube hits in a week – thought to be the fastest-ever YouTube platinum for a political speech. Five million have now seen it. His speech about “global warming” to 100,000 mineworkers and their families on a mountain-top in West Virginia in summer 2009 and his address to 15,000 at a Tea-Party Rally in Houston, Texas, in September 2009 are also now on YouTube. His interview with a Greenpeace activist in Berlin in December 2009 is used in university law classes to teach debating and cross-examination. Lord Monckton’s 2010 speaking tour of Australia played to packed houses. The tour, reported 500+ times in news media, is credited with having achieved a major shift in public policy away from climate alarmism, particularly among the Opposition parties.